Yesterday Eurodollar completed its correction and broke minimum. 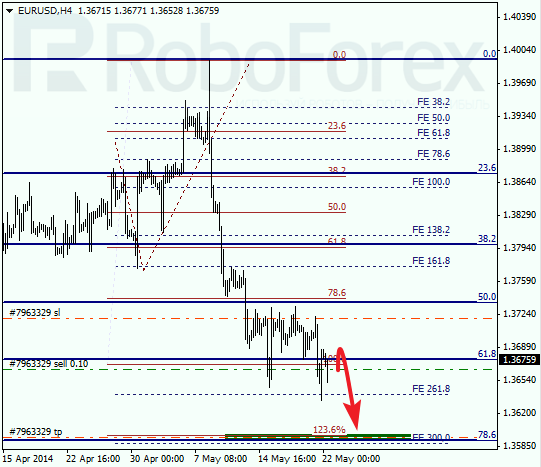 Main target is still the group of lower fibo levels at 1.3600 – 1.3590. If later price rebounds from them, market may reverse upwards. As we can see at H1 chart, local correction is taking place; its target is at level of 61.8% (1.3696). Temporary fibo-zone indicates that this level may be reached during the day. If later price rebounds from them, pair will start falling down again. Franc also started moving inside its main trend. 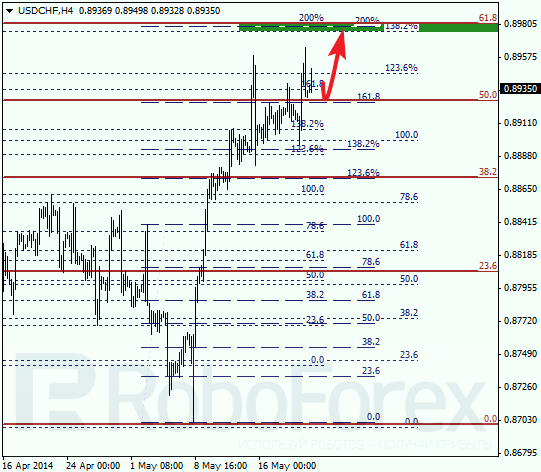 Most likely, after a short pause, price will reach the group of upper fibo levels at 0.8980 – 0.8975. If bulls aren’t strong enough to break these levels, market may reverse downwards and start more serious correction. At H1 chart, target of local correction is at level of 61.8% (0.8923). According to analysis of temporary fibo-zones, this level may be reached on Thursday. If later price rebounds from it, I may increase my long position.